CrossFit Kids is meant to be BIG fun for all ages from six to sixteen. 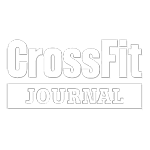 CrossFit Kids emphasises good movement throughout childhood and adolescence. Where consistently good mechanics translates into physical competence, enhanced sports performance and fewer injuries. Not only that, a vast body of research indicates that exercise is beneficial to cognitive function, which means with consistent adherence to Crossfit Kids can have a positive impact on children’s academic achievement as well as their social skills of teamwork and integration. Thank you. We shall be in contact with you very soon.